Featuring unparalleled quality, luxury and appealing design choices, Marvel offers an exclusive range of wine cooler refrigerators. Committed to customers’ satisfaction, Marvel remains a global leader with unique refrigeration products. Marvel has been the first of its kind to produce under-counter wine cellar. With pure luxury performance, Marvel offers a perfect solution to match every taste and lifestyle. Presenting a distinctive style, way out of the monotonous white appliances, Marvel wine refrigerator introduces glossy all-black interiors that add to their elegance. Each Marvel wine refrigerator not only complements your room’s décor, it also provides ideal storage facilities that could surpass for French wine cellars. The Marvel Wine Grotto with distinctly canted racks, that prevents drying out of corks. 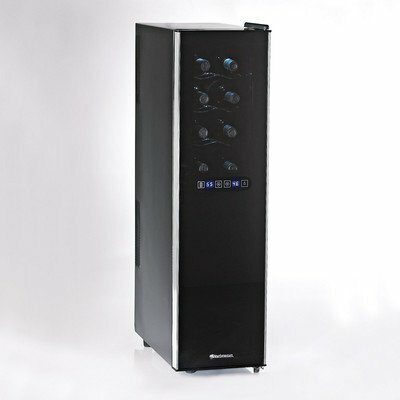 Marvel wine cooler and wine refrigerator encloses signature ebony interior. Complementing the black interiors the wine fridges have canted chrome-plated racks that meet the storage as well as display needs of every wine aficionado. Marvel’s Chateau Collection Wine Cellars takes the design to an entirely new level. This top of the line series combines the best of form and function. All Marvel wine cellar modes are made for built-in use that’s why they have front venting. These luxury wine refrigerators feature detailed monochromatic colors on the exteriors that ensure the visible surface is rightly matched and synchronized. Given all these, the most outstanding feature of the model is its innovative, sleek evaporator design that increases capacity. The stylish glide-out racks coupled with highest quality maple wood fronts can be custom painted to match any surrounding décor. The units have discreetly located digital touch controls and sophisticated blue LED display. An exclusive Sentry System refrigeration monitor controls the control panel, which provides visual and audible alarms for power failure, door ajar conditions and over/under temperature. However, what makes Marvel wine refrigerators unique are the ultra efficient 461 BTU compressors, which is the largest in the industry. It not only allows quick cool-down, but ensures smooth and vibration-free operation. Adding to style, Marvel’s coolers offer designer doors, embellished with custom wood frame covered with stiles and rails. The models are available in black, white, and stainless steel. Marvel cellars are equipped with tinted double-pane glass doors that display the contents while protecting the bottles from UV lights. The full auto defrost prevents ice build-up. The elegant interior lighting that can be kept on for all times, makes the cellar more striking. 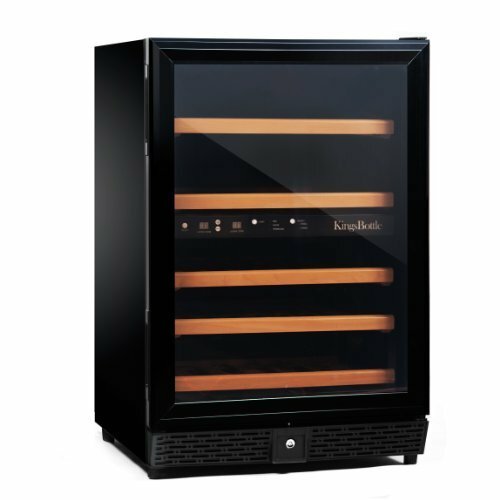 The Chateau series also offer Dual Zone Wine Refrigerators in which you can store both red and white wines simultaneuously at temperatures most suitable for the two wine types. Specially designed wine racks of Marvel wine coolers fit in almost all shapes of bottles and unsettling wine vibration are prevented through removable vibration dampening mats. With Marvel wine refrigerators, you have different colors, sizes and options to choose from, which are specifically designed keeping in mind the choices of people and other design possibilities. This is a highly advanced control feature that maintains constant, real time storage conditions for the wines. 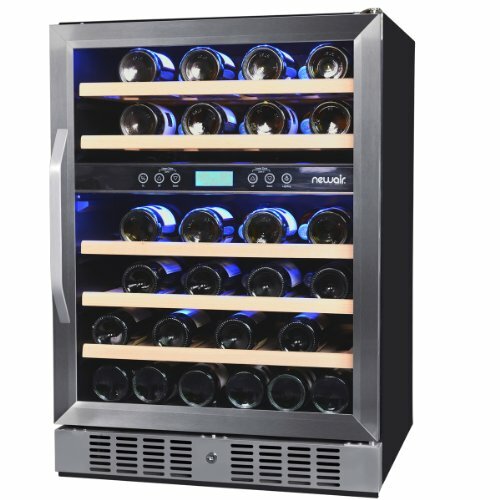 Unlike other control mechanisms applied in other wine refrigerators, Marvel’s uses intuitive controls that predict wine temperature changes and regulates the cooling system to adjust temperature accordingly. With Marvel’s Sentry system you get a wine cellar that has temperature and humidity conditions closest to that of a built wine cellar or wine cave. Part of the Sentry system are the visual and audible alarms that warn you in case of power outage, inadequately closed door, or if the temperature drops under or exceeds the set value. If you wish the alarms can be disabled. If you know a little bit about proper wine storage then you know that intense and constant vibration must be avoided when storing wines. Vibration, if it occurs often or for a long period of time, disturbs the natural sedimenation process in wine and affects aging. The compressor is isolated from the wine storage area. The compressor has vibration dampening mounts to eliminate possible vibration. Each shelf is covered with a mat to absorb any stray vibration. The vibration dampening mats can be removed. With a Marvel Wine Cooler you can rest assured that you’ll provide vibration-free storage conditions for your prized vintages. This is a slim wine cooler that can be placed and fit into 15″ spaces. It can store up to 24 wine bottles on 6, easy slide-out, shelves with clear maple front. What Marvel offers more in its exclusive wine coolers and refrigerators is the ability to place various bottle sizes in them, from wide Bordeaux-style bottles to slim bottles. You can opt for pre-finished shelf facings in gloss black, gloss wihte or stainless steel to match with the decor of the room where you’re going to place the cellar. You can set tempearture between 40°F – 65°F with the push buttons. Real time temperature data of the stored wines is displayed on the blue LED. The space between the two glass panes of the door is filled with argon for increased thermal insulation. The door glass is tinted to filter out UV rays. The reversible door has a full-length, vertical, stainless steel handle. You only have to open the door to 90 ° to be able to fully pull out the shelves. The integrated Sabbath mode lets you adjust the unit to disable interior lighting and LED display on religious holidays. Also in Sabbath mode opening of the refrigeartor door will not cause the compressor to start a cooling cycle. You can order your cellar with a custom overlay frame door. Price of the 3SWCE Marvel Wine Cooler: US$ 1470 – 1725 (US$ 61.25 – 71.85 per bottle). In 24-bottle capacity category the Viking Undercounter/Freestanding Wine Coolers offer a good option. This undercounter, built-in Marvel wine cooler can accommodate 30 bottles on 6 canted, chromed racks. You can select the cabinet colour to be black, white or stainless steel. You can also opt for custom wooden door trim 1/4″ wide so that it matches with the cabinetry decor of your kitchen. Price: cc. US$ 1200 – 1400 (US$ 40.0 – 46.66 per bottle). This is a compact yet capacious wine cellar in Marvel’s Chateau Series. It can accommodate 54 wine bottles of various sizes on 6 full extension slide-out shelves with white maple fronts that can be ordered in various prefinishes. 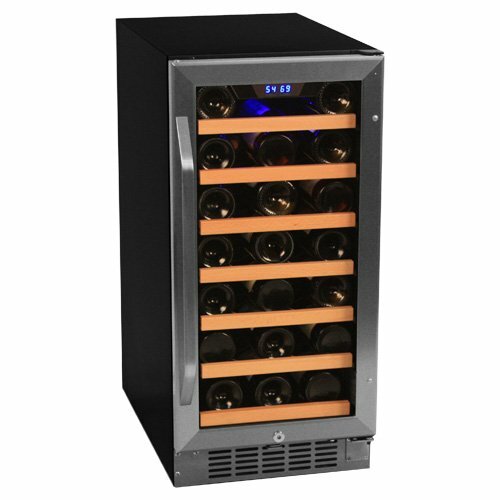 The key features of this 54-bottle wine cooler model are the same as that of the 24-bottle 3SWCE model. Price: cc. US$ 1500-1700 (US$ 27.77 – 31.48 per bottle). 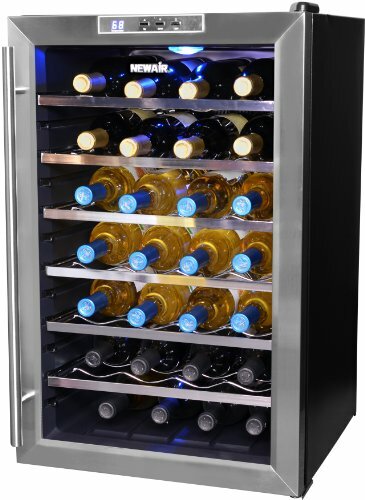 This dual zone wine refrigerator holds 24 bottles in the upper zone and 20 in the lower compartment. The glide-out wine racks have white maple fronts allowing you to custom finish them. You can set the temperature (40°F – 65°F) independently in the two zones for storing reds, white or sparkling wines at their recommended temperatures. Temperature display is either in Fahrenheits or in Celsius degrees on the blue LED. The 6SDZE-BS-G model comes with stainless framed door, the 6SDZE-BB-G unit has glass door with black trim, while the 6SDZE-BD model has the option of overlay door frame. You can oder the door with either right- or left-hand hinge. Price: cc. US$ 2100 – 2000 (US$ 47.72 – 50.0 per bottle). 40 -50 bottle Wine Cooler Refrigerators – recommended medium capacity home wine coolers. TIP: Compare Marvel Two-Zone Wine Cooler to U-Line Echelon 2-Drawer Wine Refrigerator. Read review of the Marvel Luxury Series 30 WCM 23-bottle wine cellar.